[S6] Ancestry.com, 1850 United States Federal Census (n.p. : Online publication - Provo, UT, USA: Ancestry.com Operations, Inc., 2009. Images reproduced by FamilySearch.Original data - Seventh Census of the United States, 1850; (National Archives Microfilm Publication M432, 1009 rolls); Records of the Bureau of the, unknown publish date), Year: 1850; Census Place: Mentz, Cayuga, New York; Roll: M432_481; Page: 137A; Image: . [S80] Ancestry.com, Biographical review : this volume contains biographical sketches of the leading citizens of Cayuga County, New York. (n.p. : Online publication - Provo, UT: The Generations Network, Inc., 2005.Original data - Biographical review : this volume contains biographical sketches of the leading citizens of Cayuga County, New York.. Boston: Biographical Review Pub. Co., 1894.Original da, unknown publish date). [S1110] William W Pease and Mary Ann Smith Family Records, Mary Ann Smith Pease Bible (Printers to the Queen's Most Excellent Majesty, London: George Eyre and William Spottiswoode, 1847); Loretta Schumacher, Illinois, USA. [S44] Town of Montezuma Records, online http://web.archive.org/web/20020215005729/http://…, (Waybackmachine), Kelly, Harriet E. Smith Feb 4, 1885 Montezuma Isaac R. Smith Phebe Smith. [S106] Montezuma Rural Cemetery (called Prospect Hill by Skiltons), online <http://www.cayugagenealogy.org/cem/mont-cem.htm#MONTEZUMA>, Gravestone. [S9] Ancestry.com, 1860 United States Federal Census (n.p. : Online publication - Provo, UT, USA: Ancestry.com Operations, Inc., 2009. Images reproduced by FamilySearch.Original data - 1860 U.S. census, population schedule. NARA microfilm publication M653, 1,438 rolls. Washington, D.C.: National Archives and Records, unknown publish date), Year: 1860; Census Place: Montezuma, Cayuga, New York; Roll: ; Page: 721; Image: 244. [S2] 1880 United States Federal Census, online , Year: 1880; Census Place: Seneca Falls, Seneca, New York; Roll: 932; Family History Film: 1254932; Page: 196C; Enumeration District: 164; Image: 0112. [S44] Town of Montezuma Records, online http://web.archive.org/web/20020215005729/http://…, (Waybackmachine), Payne, Sarah E. Oct 31, 1882 28-0-26 Montezuma William Kelly Harriet Kelly. Oct 31, 1882 Mrs. Sarah E. Payne wife of George Payne of Montezuma, died suddenly in that place this morning at five o'clock, aged 28 years. Mrs. Payne had been ill for some time with typhoid pneumonia, but her sudden death was entirely unexpected. She was a woman of many virtues and will be missed from the circle of a large number of friends. Her husband, and two children.survive her. the former being serioaly ill with consumption and, liable to pass away-at any time. The Kelly family name was apparently known to be spelled Kelly and Kelley. "Kelley" is penciled on the back of two old photos and also on a note in a very old photo album. "Kelly" is listed in the cemetery transcription. Sarah's father was William Kelley. Gravesite Details 28 yrs - wife of George A Payne. Death date needs verification. Birth date from daughter Mary Ann Smith Pease's bible. Find A Grave Memorial# 100132270. [S105] Old Montezuma Cemetery, online <http://www.cayugagenealogy.org/cem/mont-cem.htm#OLD>, Smith, Phebe d. Oct 6, 1817 ae 41y 7mo 19da. 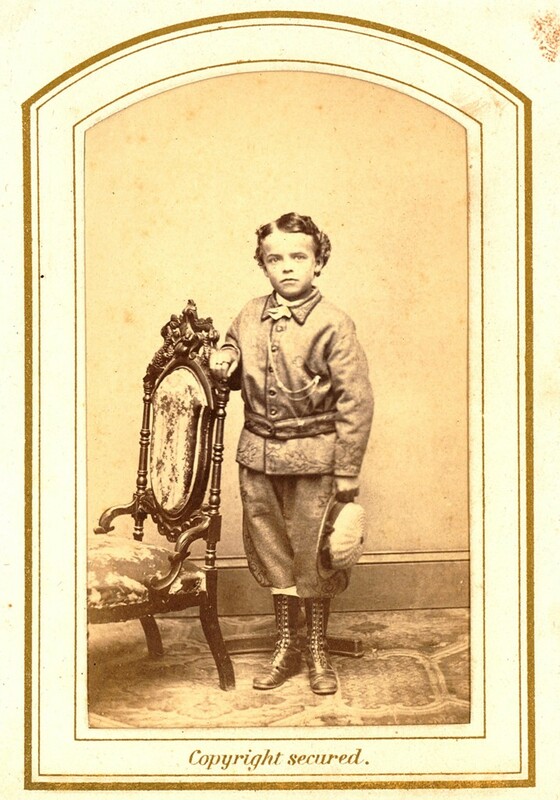 Another child is James Smith b. 1823 (from the family bible of Isaac's daughter, Mary Ann Smith Pease in the possession of the memorial owner). Find A Grave Memorial# 100132245. [S20] Ancestry.com, 1830 United States Federal Census (n.p. : Online publication - Provo, UT, USA: Ancestry.com Operations, Inc., 2010. Images reproduced by FamilySearch.Original data - Fifth Census of the United States, 1830. (NARA microfilm publication M19, 201 rolls). Records of the Bureau of the Census, Record Gr, unknown publish date), Year: 1830; Census Place: Mentz, Cayuga, New York; Roll: ; Page: . [S2] 1880 United States Federal Census, online , Year: 1880; Census Place: Montezuma, Cayuga, New York; Roll: 814; Family History Film: 1254814; Page: 191A; Enumeration District: 029; Image: 0304. [S6] Ancestry.com, 1850 United States Federal Census (n.p. : Online publication - Provo, UT, USA: Ancestry.com Operations, Inc., 2009. Images reproduced by FamilySearch.Original data - Seventh Census of the United States, 1850; (National Archives Microfilm Publication M432, 1009 rolls); Records of the Bureau of the, unknown publish date), Year: 1850; Census Place: Mentz, Cayuga, New York; Roll: M432_481; Page: 116B; Image: . [S44] Town of Montezuma Records, online http://web.archive.org/web/20020215005729/http://…, (Waybackmachine), Trufant, Cordelia Aug 26, 1902 76-2-8 Montezuma Isaac Smith Phoeba. [S4] 1875 New York Census, Record Type: New York State Census, Census record. [S38] Find a Grave, online , Charles L. TrufantBirth: 1859 Cayuga County New York, USA Death: 1923 Cayuga County New York, USACharles L. Trufant was the son of Curtis L. Trufant and Cordelia (unknown). He appears to have lived with his widowed mother until her death in 1902 and then about 1907 in his 40's he married Mamie/Manie in her 30's whose maiden name was probably Eckert. They both married a little late in life and do not appear to have had any children. Burial: Mount Pleasant Cemetery Port Byron Cayuga County New York, USA Created by: LAM Record added: Aug 25, 2008 Find A Grave Memorial# 29302112. Manie C. Eckert was also known as Mary C Eckert.2 She was born circa 1865 at New York, USA.1,2 She lived in 1870 at Throop, Cayuga, New York, USA.2 She lived in 1880 at Auburn, Cayuga, New York, USA.1 She married Charles L Trufant, son of Curtis Trufant and Cordelia Smith, in 1906.3 Manie C. Eckert died in 1942. Betsy Burges married Christopher Trufant. [S637] Jordan, Liahona Research, comp. Dodd, Massachusetts Marriages, 1633-1850 (n.p. : Online publication - Provo, UT, USA: Ancestry.com Operations Inc, 2005.Original data - With some noted exceptions all marriage records in this collection can be found at the Family History Library in Salt Lake City, Utah, and may be available through Famil, unknown publish date). [S20] Ancestry.com, 1830 United States Federal Census (n.p. : Online publication - Provo, UT, USA: Ancestry.com Operations, Inc., 2010. Images reproduced by FamilySearch.Original data - Fifth Census of the United States, 1830. (NARA microfilm publication M19, 201 rolls). Records of the Bureau of the Census, Record Gr, unknown publish date), Year: 1830; Census Place: Aurelius, Cayuga, New York; Roll: ; Page: . [S9] Ancestry.com, 1860 United States Federal Census (n.p. : Online publication - Provo, UT, USA: Ancestry.com Operations, Inc., 2009. Images reproduced by FamilySearch.Original data - 1860 U.S. census, population schedule. NARA microfilm publication M653, 1,438 rolls. Washington, D.C.: National Archives and Records, unknown publish date), Year: 1860; Census Place: Montezuma, Cayuga, New York; Roll: ; Page: 742; Image: 265. [S65] 1920 United States Federal Census, online , Year: 1920; Census Place: Montezuma, Cayuga, New York; Roll: T625_1090; Page: 3B; Enumeration District: 38; Image: . [S26] 1900 United States Federal Census, online , Year: 1900; Census Place: Montezuma, Cayuga, New York; Roll: T623_1013; Page: 5A; Enumeration District: 34. [S66] 1925 New York, State Census, online , New York State Archives; Albany, New York; State Population Census Schedules, 1925; Election District: 01; Assembly District: 01; City: Montezuma; County: Cayuga; Page: 13. [S26] 1900 United States Federal Census, online , Year: 1900; Census Place: Montezuma, Cayuga, New York; Roll: T623_1013; Page: 6A; Enumeration District: 34. [S44] Town of Montezuma Records, online http://web.archive.org/web/20020215005729/http://…, (Waybackmachine), Kern, Christina Feb 20, 1908 81 Germany Henery Kern. Frank Kern lived in 1860 at Montezuma, Cayuga, New York, USA.2 He was born on 2 April 1861 at Montezuma, Cayuga, New York, USA.1,2,3 He lived in 1880 at Montezuma, Cayuga, New York, USA.1 He married Eunice Bell Humphrey, daughter of Charles Alden Humphrey and Minerva J Roberts. Frank Kern lived in 1892 at Montezuma, Cayuga, New York, USA; Age: 32.3 He died on 23 October 1897 at Montezuma, Cayuga, New York, USA, at age 36. Mary D Kern was also known as Mary A Blaisdell.5 She was born in September 1857 at Montezuma, Cayuga, New York, USA.1 She was born on 8 December 1857 at Montezuma, Cayuga, New York, USA.2,5,3,4 She lived in 1860 at Montezuma, Cayuga, New York, USA.2 She married Delazon F Blaisdell, son of George W Blaisdell and Mary Kipp. Mary D Kern lived in 1880 at Montezuma, Cayuga, New York, USA.3 She lived in 1892 at Montezuma, Cayuga, New York, USA; Age: 35.4 She lived in 1900 at Montezuma, Cayuga, New York, USA.1 She lived in 1910 at Montezuma, Cayuga, New York, USA.5 She died on 7 December 1917 at Montezuma, Cayuga, New York, USA, at age 59. [S26] 1900 United States Federal Census, online , Year: 1900; Census Place: Montezuma, Cayuga, New York; Roll: T623_1013; Page: 10A; Enumeration District: 34. [S2] 1880 United States Federal Census, online , Year: 1880; Census Place: Montezuma, Cayuga, New York; Roll: 814; Family History Film: 1254814; Page: 186A; Enumeration District: 029; Image: 0294. Eunice Bell Humphrey was also known as Emma Humphrey.3 She was born circa 1871 at New York, USA.1,2 She was born circa 1872 at Cayuga, New York, USA.3 She lived in 1880 at Montezuma, Cayuga, New York, USA.1 She married Frank Kern, son of Henry Kern and Christina (?). 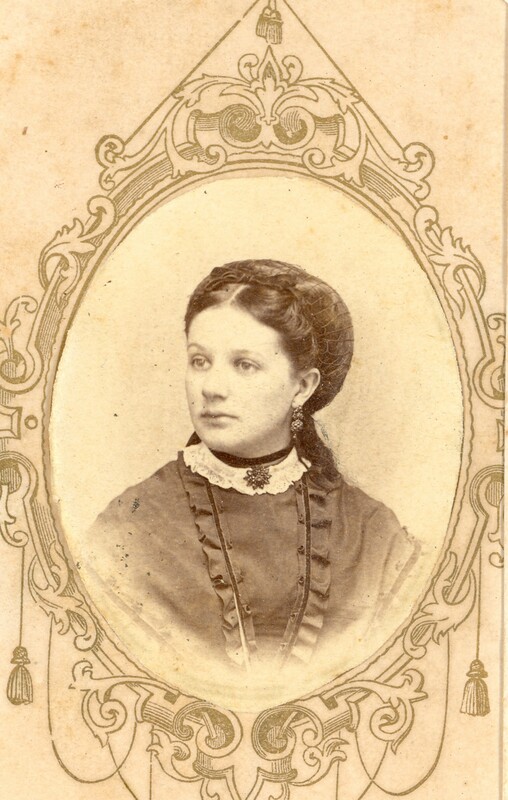 Eunice Bell Humphrey lived in 1892 at Montezuma, Cayuga, New York, USA; Age: 20.2 She married (?) Clark after 1900. Eunice Bell Humphrey married James F Boyer circa April 1910.4 Eunice Bell Humphrey died between 1911 and 1918. [S2] 1880 United States Federal Census, online , Year: 1880; Census Place: Montezuma, Cayuga, New York; Roll: 814; Family History Film: 1254814; Page: 189B; Enumeration District: 029; Image: 0301. 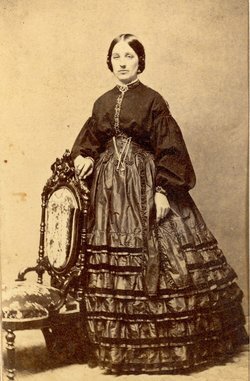 "New York, State Census, 1875," index and images, FamilySearch (https://familysearch.org/pal:/MM9.1.1/VTDC-7NH : accessed 18 Dec 2013), Emma Humphery in entry for Ches Humphery, 1875. Source Citation: Year: 1910; Census Place: Buffalo Ward 12, Erie, New York; Roll: T624_944; Page: 8B; Enumeration District: 0109; FHL microfilm: 1374957. Notes: 01 Oct 1976: Name listed as JACOB FRANK CLARK. [S61] 1930 United States Federal Census, online , Year: 1930; Census Place: Aurelius, Cayuga, New York; Roll: 1411; Page: 3A; Enumeration District: 24; Image: 592.0; FHL microfilm: 2341146. [S65] 1920 United States Federal Census, online , Year: 1920; Census Place: Skaneateles, Onondaga, New York; Roll: T625_1250; Page: 6B; Enumeration District: 102; Image: 432. [S11] 1910 United States Federal Census, online , Year: 1910; Census Place: Auburn Ward 6, Cayuga, New York; Roll: T624_928; Page: 8B; Enumeration District: 0019; Image: 457; FHL microfilm: 1374941. [S62] Ancestry.com, Social Security Death Index (n.p. : Online publication - Provo, UT, USA: Ancestry.com Operations Inc, 2011.Original data - Social Security Administration. Social Security Death Index, Master File. Social Security Administration.Original data: Social Security Administration. Social Security D, unknown publish date), Number: 117-18-0896; Issue State: New York; Issue Date: Before 1951. [S9] Ancestry.com, 1860 United States Federal Census (n.p. : Online publication - Provo, UT, USA: Ancestry.com Operations, Inc., 2009. Images reproduced by FamilySearch.Original data - 1860 U.S. census, population schedule. NARA microfilm publication M653, 1,438 rolls. Washington, D.C.: National Archives and Records, unknown publish date), Year: 1860; Census Place: Savannah, Wayne, New York; Roll: ; Page: 155; Image: 156. [S65] 1920 United States Federal Census, online , Year: 1920; Census Place: Mentz, Cayuga, New York; Roll: T625_1089; Page: 1A; Enumeration District: 37; Image: . [S11] 1910 United States Federal Census, online , Year: 1910; Census Place: Mentz, Cayuga, New York; Roll: ; Page: ; Enumeration District: ; Image: . [S44] Town of Montezuma Records, online http://web.archive.org/web/20020215005729/http://…, (Waybackmachine), Blaisdell, Mary C. Jun 6, 1894 59-9-14 Wayne Co. Henry Kipp Christina Kipp. [S6] Ancestry.com, 1850 United States Federal Census (n.p. : Online publication - Provo, UT, USA: Ancestry.com Operations, Inc., 2009. Images reproduced by FamilySearch.Original data - Seventh Census of the United States, 1850; (National Archives Microfilm Publication M432, 1009 rolls); Records of the Bureau of the, unknown publish date), Year: 1850; Census Place: Savannah, Wayne, New York; Roll: M432_613; Page: 505A; Image: .